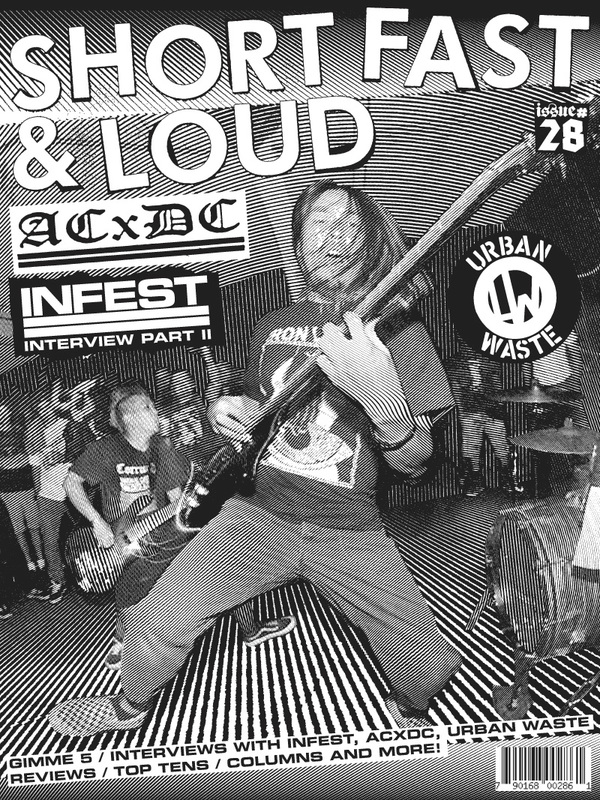 This is for the upcoming Short Fast and Loud magazine. I’m working on the rest of the layout right now, it should be done shortly and off to press in the next couple weeks. I treated the photo with a custom bitmap line mesh. I also used a custom line mesh for the tentacle here. 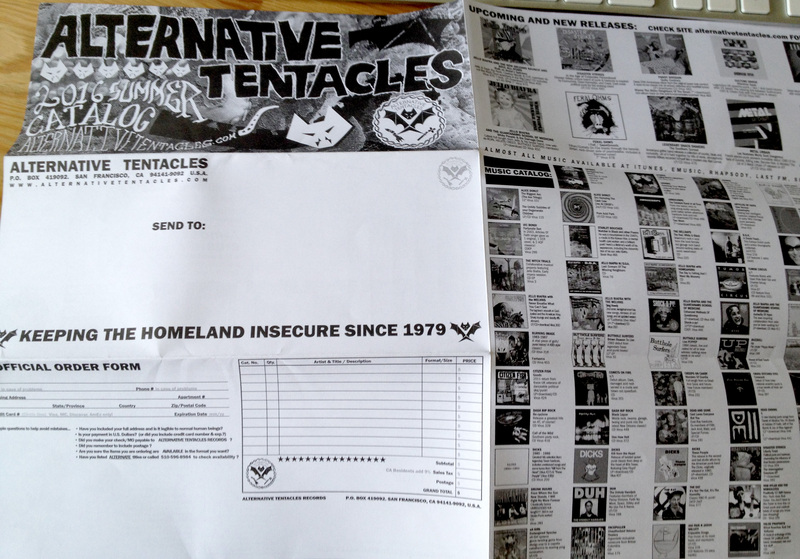 This is the cover for the upcoming Alternative Tentacles catalog. This should also be finished up in the next few days. 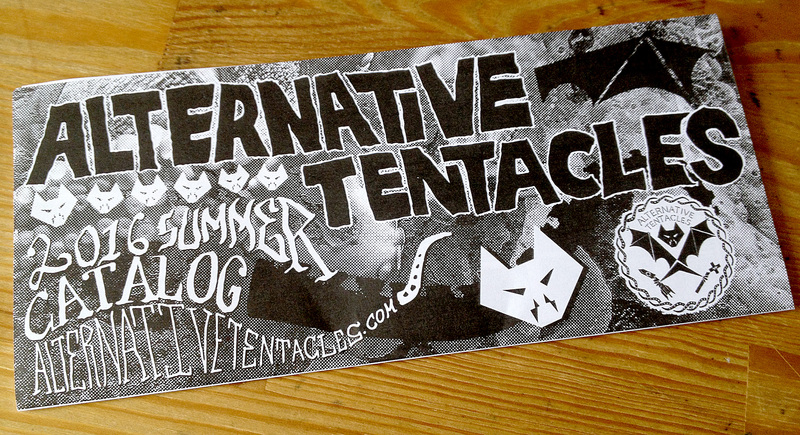 Since 2006 I have been designing the yearly catalog for Alternative Tentacles. I have a good amount of freedom with the cover concept which is nice. The first concept idea was using a monkey photo that I thought was funny and had used for some demo cassettes previously. Even though I knew Alternative Tentacles from a punk rock perspective they have released tons of spoken word and different styles of music so it has always had to be something that can appeal to a broad audience. I always make sure that the rest of the catalog has some sort of continuity with the cover. For the second catalog they let me get away with a more of a punk concept where I grabbed the same monkey and decked him out. For the third one I grabbed once again the same monkey but gave it more of an Amebix thing, dressed up in a henchman getup. After that it was passed along that Jello said ‘no more monkey’ so we went with an old wood cut print of a krakken attacking a ship that he liked. Of course I added some giant AT bats flying over it for some angle. To keep the continuity we re-used some coincident artwork which they originally used in ‘The Day the Needles Stood Still’ v/a compilation. Pizza is one of my favorite types of food so for the latest one I decided to keep going with the octopus tentacles / krakken direction but give it a pizza delivery twist. This one is currently at the press! It should be going out with orders from them in the next month or so. 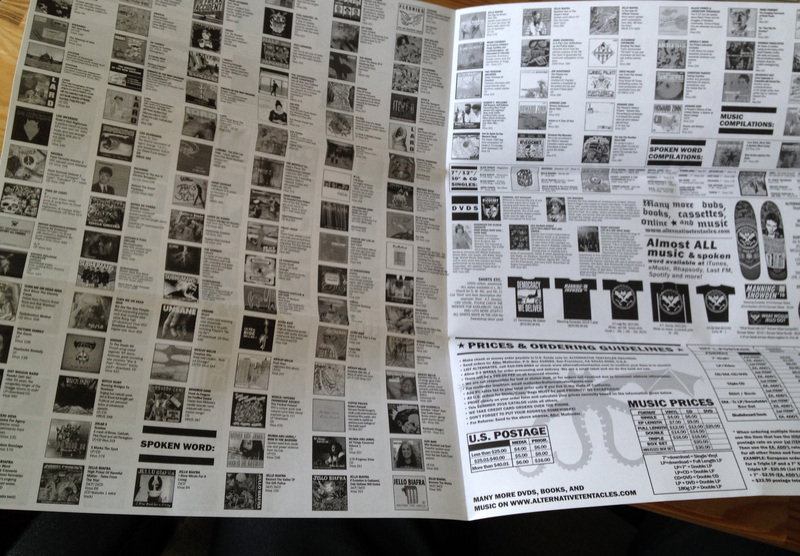 All of the above catalogs were printed at 1984.